Virginia Evans, Kori Salcido - R.N. 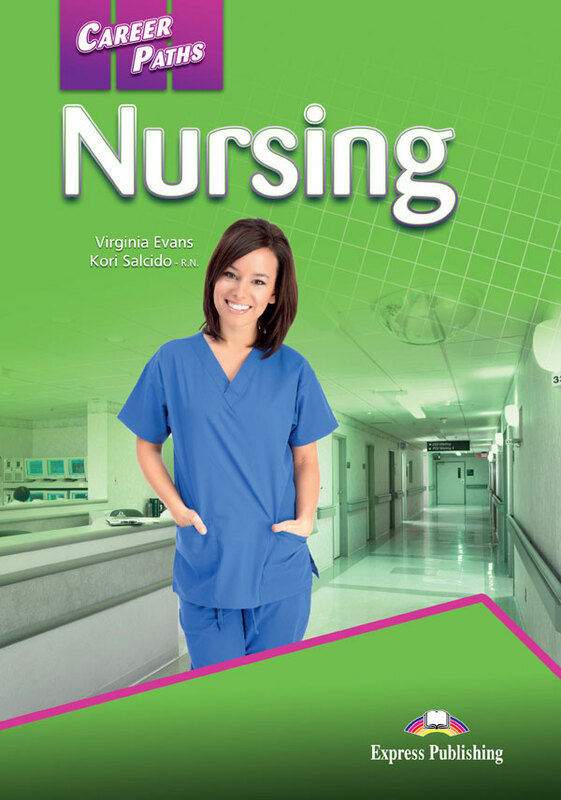 Career Paths English: Nursing is a new educational resource for nursing professionals. 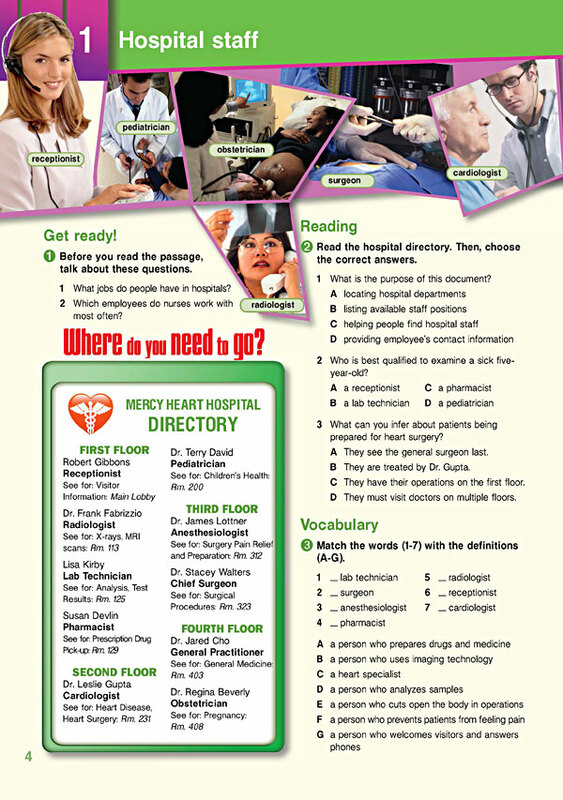 Reviewed by licensed nurses, it incorporates career-specific vocabulary and contexts into lessons that build professionals´ workplace English skills. 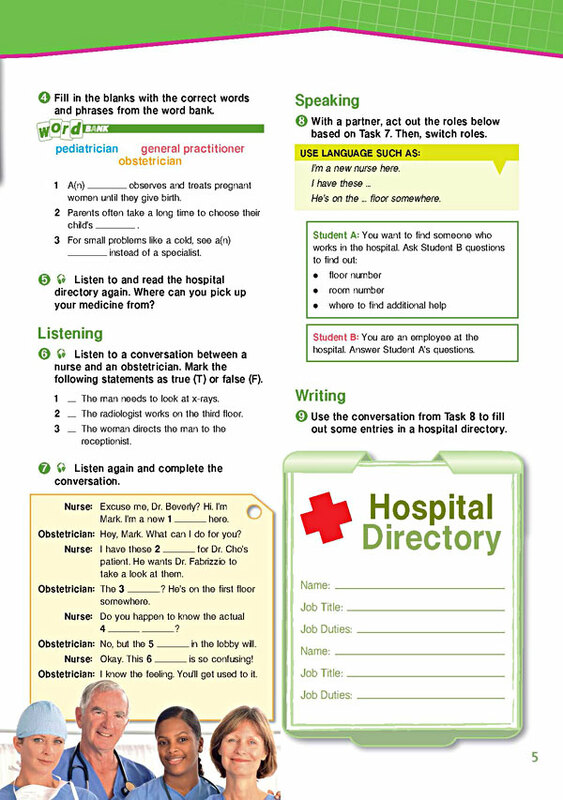 Each unit offers step-by-step instruction that immerses students in four language components: reading, listening, speaking and writing. 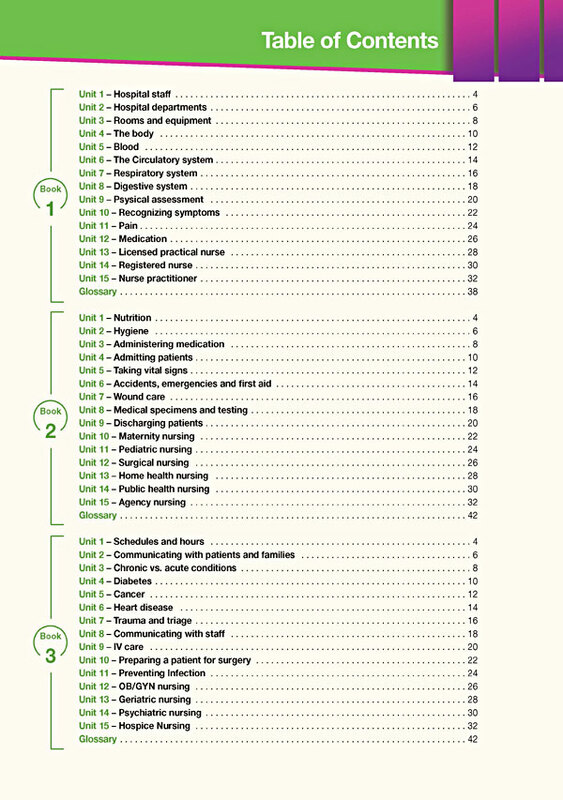 Career Paths English: Nursing addresses topics including hospital departments, basic equipment, specific illnesses, nursing duties and career options. 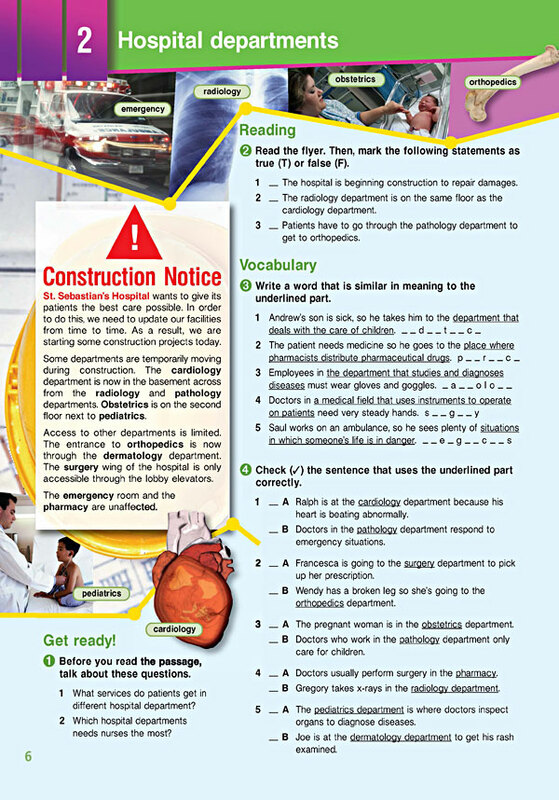 Books 1-3 of Career Paths English: Nursing are rated for the Common European Framework of Reference for Languages at A1, A2 and B1 respectively.